Our V13H010L89 Epson lamp replacement comes with a genuine original Osram brand projector bulb inside. The V13H010L89 lamp is rated 2,300 lumens with a lamp life of 3,500 hours (5,000 hours in Eco Mode). Beware of replacement lamps being sold elsewhere with generic bulbs inside that have lower quality, reduced lumen output and shorter rated life. Trust Pureland Supply with a 180 day warranty, 5-star Google rating, and free ground shipping. 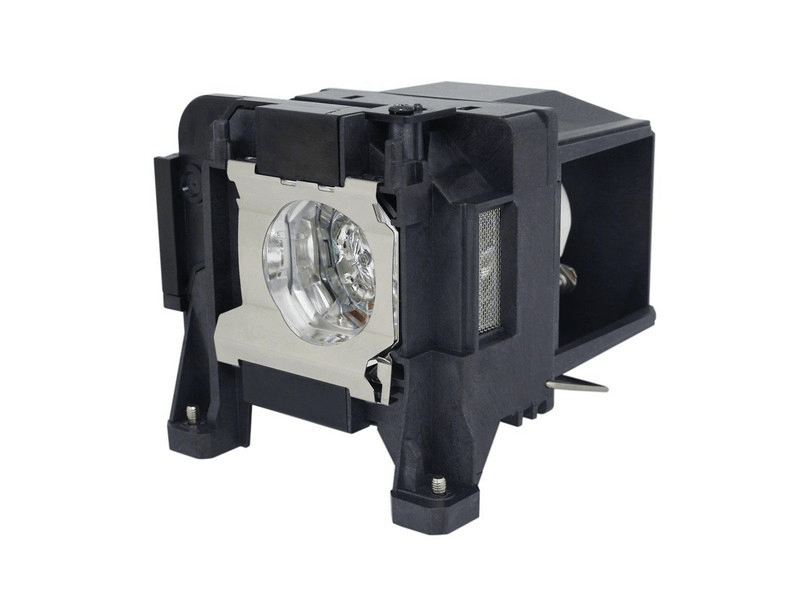 V13H010L89 Epson Projector Lamp Replacement. Projector lamp assembly with Genuine Original Osram P-VIP bulb inside. Very pleased with our purchase. The lamp was delivered vis UPS in a well packaged box and works great. Brighter than others we have tried. I purchased this lamp about 9 months ago. It burned out suddenly after only 1762 hours of lamp life. I had it on the eco settings and by the estimate, it should have lasted 5000 hours. I realize that it isn't under warranty after the 180 days, but this product does not live up to the life that is promised. And for the price, I feel like I should have had a longer lamp life. When I contacted pureland by email, this was their response: Your projector is still pretty young, so I wouldn't expect a projector problem. On the other hand, lamps don't suddenly become defective after 9 months of use, so I wouldn't automatically suspect the lamp, either. I'm sorry I can't be more helpful with this. If you would like to purchase another lamp from Pureland Supply, I can offer a 25% discount off our new lower pricing. This isn't what I expected from Pureland. I'm not buying another lamp from here. If a product doesn't live up to your own description then you should do better than a 25% discount on a replacement lamp that may do the same thing. Our lamp arrived on time and appears to built with quality materials including the original Osram bulb. We would definitely recommend Pureland Supply.